← Ultimate Romantic Suspense Christmas Giveaway! If you’d like to download a FREE read, but don’t want to deal with online distributors or creating accounts, Christmas Diamond is available on this website at this link. You can download it directly from me. This entry was posted in 5. 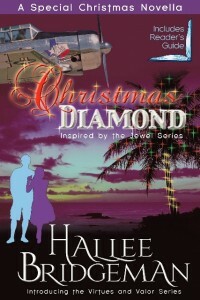 Christmas Diamond, Blog and tagged christmas diamond, free download, free read, jewel series, virtues and valor series. Bookmark the permalink.